I took these this morning and this is the typical, every day street. Landfill on the side of the road. 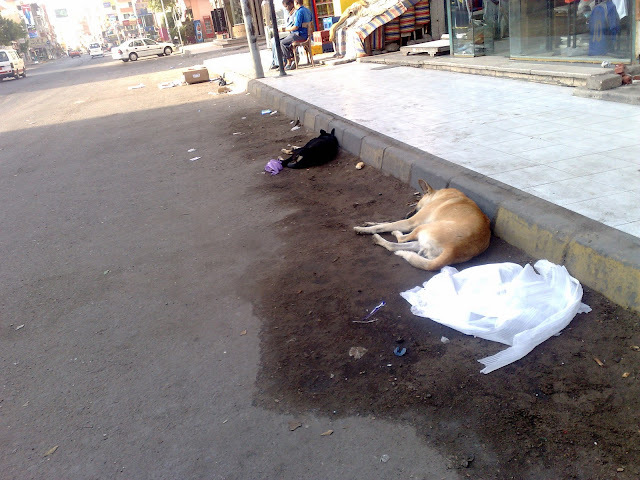 2 stray dogs catch some z's. A pack of dogs take a walk. See the one peeking out from underneath? They usually get scared when you approach. 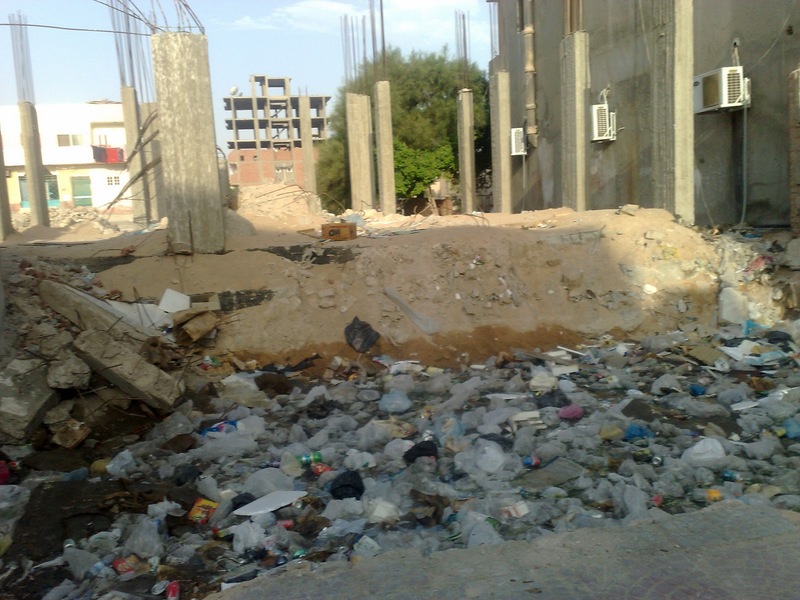 While taking these pictures I felt like I was doing a 20/20 exposé, but the truth is trash and strays are two of the biggest problems Egypt faces today. It's no secret. 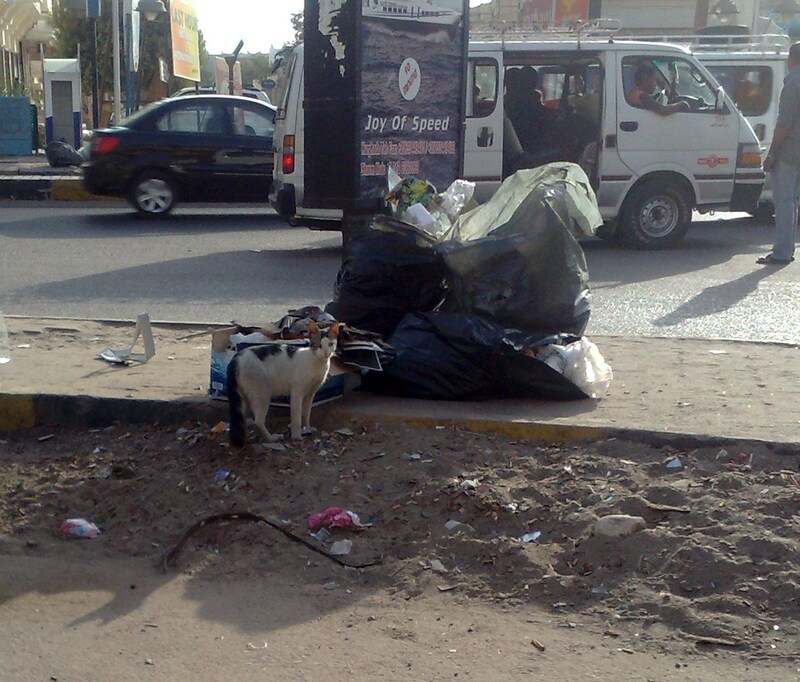 The trash is everywhere as you can see, and the poor strays are living in it. 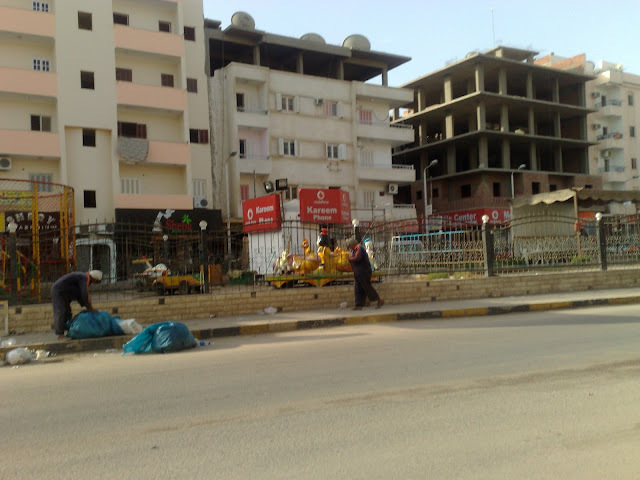 The men you see sweeping the street here, sadly, are ineffective. They sweep it all into piles or to one side and a truck is supposed to come take it away but trash sits on the side of the road this way for days, piling and spilling out of the dumpsters. It smells horrible. The odd thing is, inside people's homes, they keep clean and throw the trash out, and shops all sweep up everything into the street. Not their problem any more. Then of course there's the rampant littering. The stray cats and dogs are almost always nursing or pregnant. They are often abused by children and eat garbage. It breaks my heart when I see the injured ones limping along. I don't know what can be done. These are my 2 biggest peeves about Egypt. Will it ever change? Oh Insha'Allah it changes. Does the governmnet ever adress the issue? I hope their can be a solution, but u know what, it starts with every person taking care of their own trash, teaching their own children that its wrong to abuse the animals, etc. i hope it gets better sometime. Those animals look sooooooo sad! I love the cat that was 'posing' for you! I am surprised to see that there are no garbage bins! We have garbage bins that are always overflowing but get picked up everyday. And the cats live in them...when we walk by them, we have to move away so no cats jump on you! I hope that some day there will be a solution as this is not ISLAMIC manners! I guess the best way to deal with it is to start with yourself and hope everyone does the same! I still 'reduce' before I throw my garbage out because I got so used to recycling!!! Inshallah there will be a resolution for this. Haram that these animals are like that, but Allah will take care of them. I know that in certain parts people struggle to feed themselves nevermind the animals but there should still be better procedures for them such as shelters. 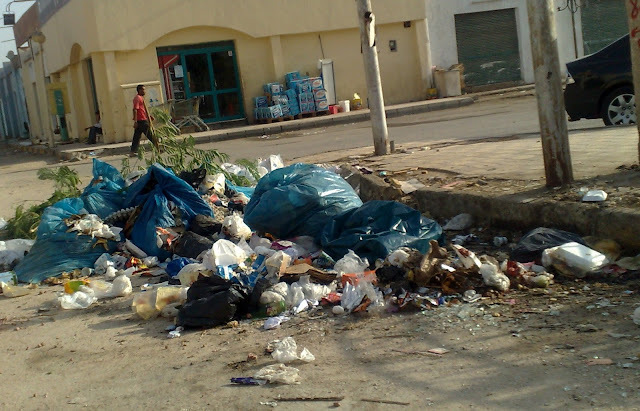 The litter issue should not even be a problem if the government pulled their finger out. But then again when people easily open their car window and throw trash out or throw their garbage bags from the window, this is inevitable. 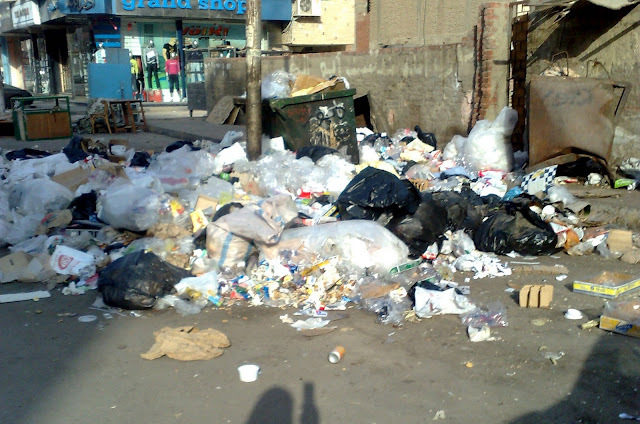 I keep hearing it from different non Egyptian people that they think Egyptians are not clean and are low on hygiene. I am starting to believe it. Perfectly Imperfect, I dunno if they do, they should. 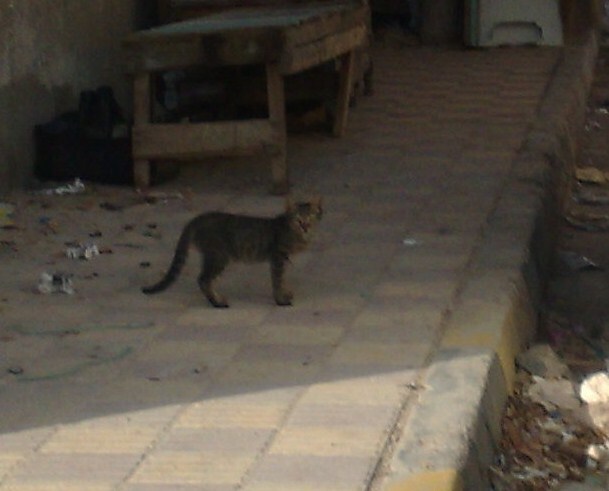 The strays are usually afraid of people because they are harassed a lot but some are friendly. People look at me like I'm insane for petting a stray dog or cat. BubbliMuslima, I know what you mean, most people just have that don't care attitude. Rana, Yea there are a few dumpsters here and there but they are always surrounded by so much trash and it doesn't get collected often enough. Yara aka Butterfly2729, There definitely needs to be a lot more funding for waste control. Jessyz, you're absolutely correct. 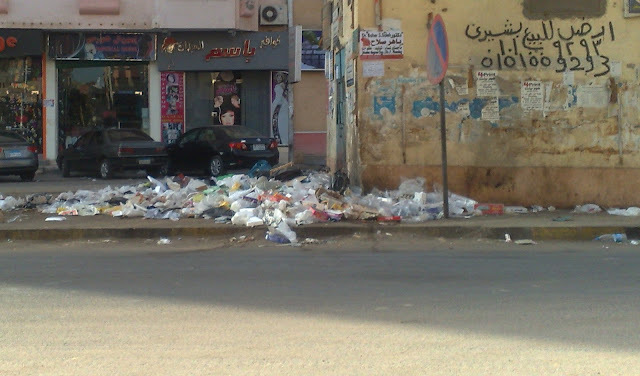 And in the nice clean places, people usually don't throw trash since it's clean but when the street looks like this, people figure screw it, and throw their chip bag or whatever on the ground. SOME Egyptians are low on hygiene, speaking on a personal level, as in body odor etc, but even a lot of chic, well groomed Egyptians litter with out a though. 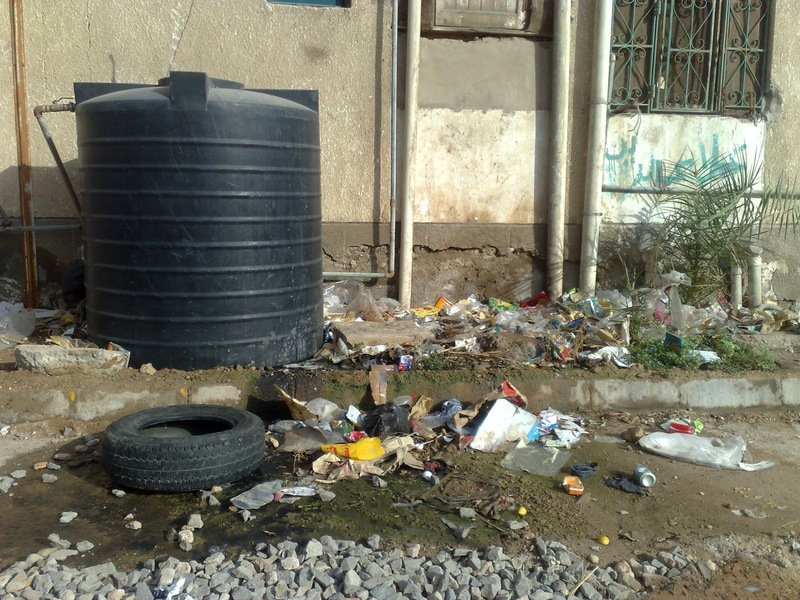 Ugly and Astonishing photos in Our streets! It's not just Egypt, I've seen this in many places throughout the Middle East. But I do think it is worse in Cairo than anywhere else. It's always been so hard for me to see parents telling their children to throw trash out of car or train windows instead of teaching them to look for trash cans. I was raised in the "Give a hoot, don't pollute!" era and that has always stuck with me. But that attitude seems to be unfortunately absent round these parts. Sonnet, They sure are an eye sore. Do you live in Egypt? If so why are these astonishing? theamerarabwife, I remember that campaign too. They should run PSAs here showing images like these and have trash bins everywhere. Londoneya, Yea it's gross. They don't need my pics, they can just look out the window. Houda, I guess it's like that in a lot of Arab countries. But I think the gulf is clean? I thought it was crazy how my husband would throw wrappers and cans on the street as we walked... I would hold the trash until I saw a garbage, only to find it full and have to throw it on the ground beside it... Kind of discouraging because even if you want to put your trash in the right place, there just isn't any! It's pretty sad... The strays too, but my husband feels more uncomfortable about the situation here, where we "put down" (kill) our strays. And really that would be an obligatory part of taking care of the stray problem. Can't operate them all! Candice, Yea we're just conditioned that way. I wish there was a way to get people to care about the street. Our bawab takes the trash from in front of the apt and takes it to a dumpster near by but its almost always overflowing. 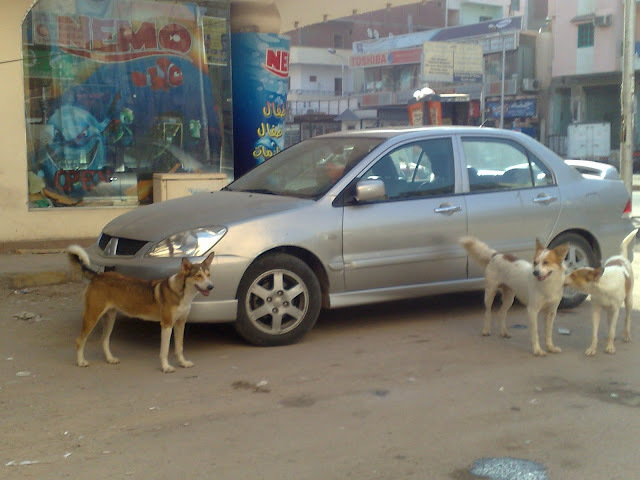 As for strays, that's a sad reality. 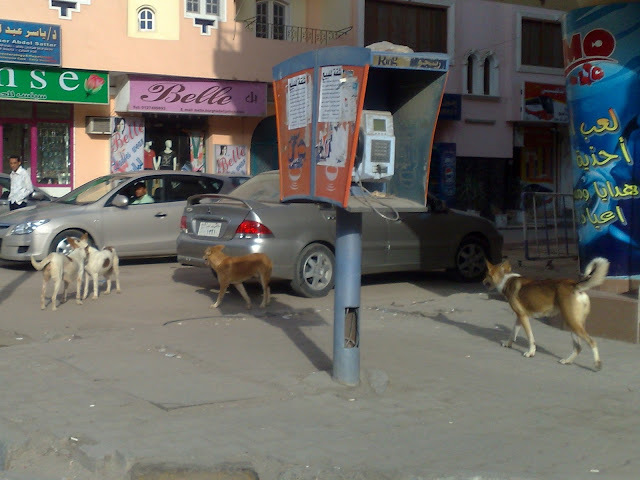 I'm not complaining about them because I think they're a nuisance but because I feel bad for them and how they live. "t was a sign put up by vets warning people with dogs that there had been poison sprayed in the area and if your dog licks it, it would die. It was sprayed for the strays. :("
That's so heart breaking! Do you guys have something like SPCA there? Shahira Elaiza, I don't imagine there is or I've never heard of one. There were a lot of things I loved about Egypt, but the lack of respect for public space would make it really tough for me to live there. 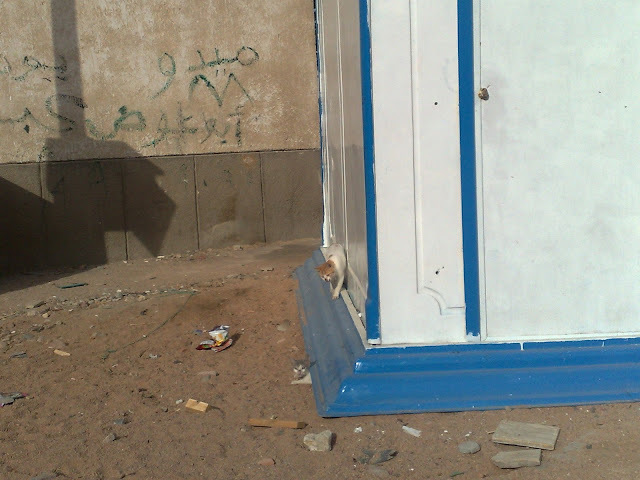 The absolute worst for me was the condition of the train bathroom when we were going from Cairo to Luxor. Do they ever clean those things? Stacy aka Fahiima, It's the worst thing about this country. And about those bathrooms, doubtful. Anon, Yea, I know that.Some people keep pets here but the majority don't. lol@ its just like parts of El Salvador!